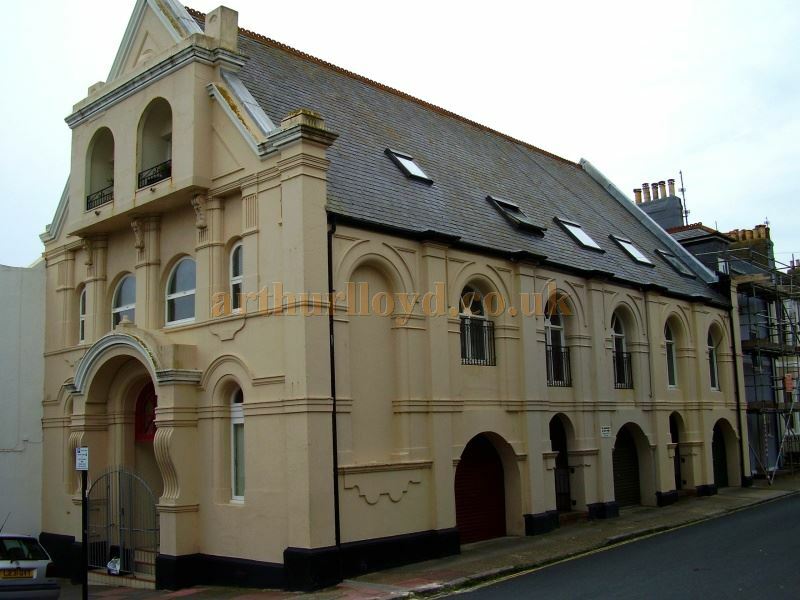 The Playhouse Theatre was situated in Sudeley Place in Kemptown, Brighton and originally constructed as a Chapel in 1891. The Chapel was later converted into a Cinema called the Picture Playhouse in 1920. The Cinema had a small and intimate auditorium with one Balcony and retained much of the feel of the original building including its arched windows and open timber trussed ceiling. The foyer was small too and the projection box was fitted into the eaves of the roof. The Brighton Gazette reported on the new Picture Theatre in 1920 saying:- 'As indicated in the proceedings at the last meeting of the Brighton Town Council, Brighton is to have yet another picture theatre making the eleventh possessed by the town, apart from the two great entertainment palaces to be erected in Queen's Road and West Street (This refers to the former Regent on Queen's Road, and the Academy on West Street - M.L.). The Sudeley-place Hall, Kemp Town, has been purchased by Councillor R. W. Herriot and Mr W. Easter with the intention of converting it into a picture theatre. The hall, it will be remembered, was formerly a Congregational Church, but it has been closed for seven or eight years. Plans for converting it into a Kinema have been submitted by the new owners; but, for the moment, the plans have been disaproved by the Improvements Committee of the Town Council owing, it is understood, to the requirements of the Medical Officer of Health in regard to the distance of the front seats from the screen. In order to save the eyesight of children from possible strain, the Medical Officer wishes the distance between the front seats and the screen to be increased, and there is no doubt that his wishes will be willingly met. The above text in quotes was first published in the Brighton Gazette, 1920 - Courtesy Paul Bland. The building was used for live theatre productions from 1947 by Playhouse Productions Ltd., on its larger than might have been expected stage. 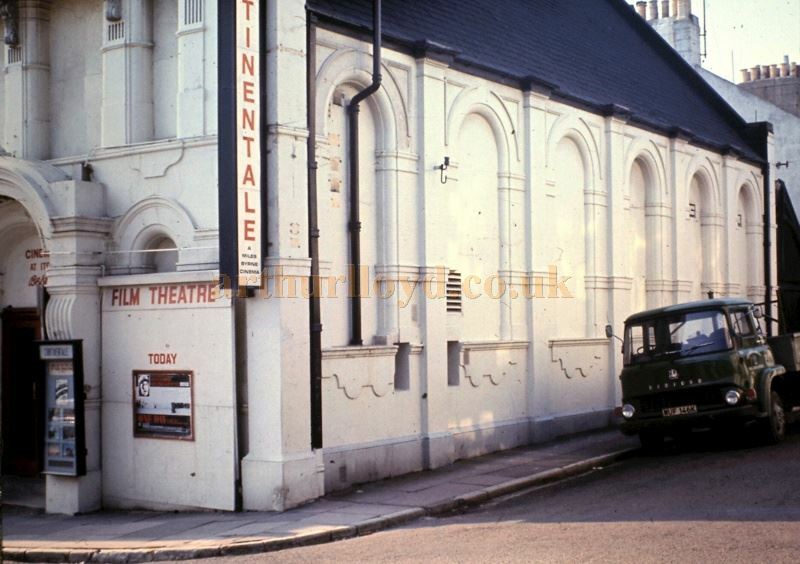 The Theatre, now named the Playhouse, ran a weekly rep of more than 60 productions until 1949 when it was turned back into a Cinema again, this time under the name of the Continentale, with seating for 380. Judging by the advertisement shown right from the 1970s the Cinema was showing far less salubrious content by this time. I imagine the original owners would have been rather shocked, considering how high their ideals for the Cinema were back in the 1920s when it first opened as the Picture Playhouse. 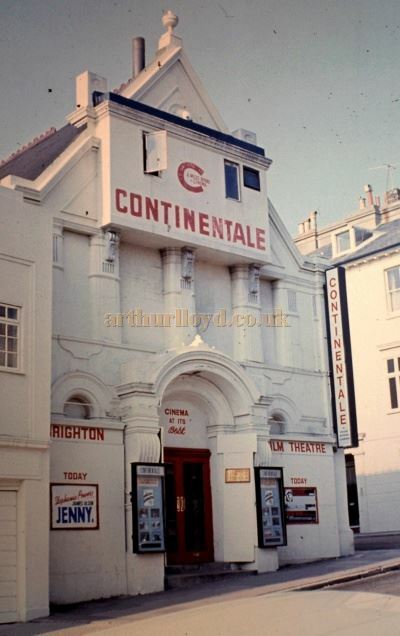 Right - An advertisement for the Continentale, Brighton carried in the Evening Argus entertainments page from around 1974 - Courtesy Paul Bland. When the last owner, Miles Byrne, died in 1986 the Cinema was closed and the building remained empty for years until it was eventually bought by developers. The auditorium was then turned into three town houses and the stage was converted into a house, the dressing room etc., were demolished. The building does however still retain the exterior walls of the original Chapel even today. If you have any more information about this Theatre or images you are willing to share then please Contact me.